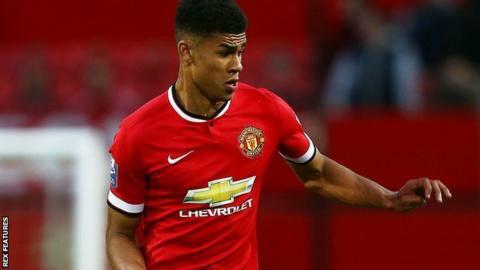 Barnsley have signed Manchester United striker Ashley Fletcher on a one-month loan deal. The 20-year-old is yet to play a first-team game for the Red Devils. Fletcher could make his debut for the Tykes when they take on Fleetwood in the first leg of Johnstone's Paint Trophy Northern Area Final on Saturday. "Fleetwood are a good side and it will be a good test but with the quality we've got here, I'm sure we can do the business," he told the club website.